A host of changes in accreditation standards are coming for opioid treatment programs (OTPs) from the Joint Commission. The standards are based on the Substance Abuse and Mental Health Services (SAMHSA) guidelines, published in March of 2015, “Federal Guidelines for Opioid Treatment Programs” (http://www.samhsa.gov/newsroom/press-announcements/201503270300). SAMHSA established the accreditation requirement in 2001 to help OTPs improve the quality of patient care, treatment, and services, delivered in the OTP setting. AT Forum interviewed Megan Marx, MPA, associate director for behavioral health care accreditation at the Joint Commission, to learn the details about the accreditation changes. We discuss some of the most significant changes below. The organization will have a federal exemption in place to allow mid-level medical practitioners to write medication orders in opioid treatment programs. The program’s telemedicine services do not expand the scope of practice of a health care provider or permit practice in a jurisdiction (the location of the patient) where the provider is not licensed. The program reviews the individual licensing, scope of practice, and supervision requirements of its state with regard to the duties of authorized health care professionals within the program, such as advanced practice nurses, physician assistants, and advanced practice pharmacists. “Medication orders” in OTPs refers to determining dosages. This change, one of the key changes in the federal guidelines, would allow OTPs to submit an exemption request to SAMHSA for using mid-levels to determine methadone orders in states where this is allowed. Current SAMHSA guidelines do not allow mid-levels—nurse practitioners and physician assistants—to make medication orders for methadone. “We reached a middle ground here,” explained Ms. Marx. “SAMHSA does have an exemption function written into the regulations. SAMHSA takes the very conservative view that the regulations prohibit mid-level prescribing. We went back and forth about that when we were drafting the guideline revisions [that came out last April]. Some folks do believe that the federal regulations allow this.” OTPs can start submitting their exemption requests immediately. To receive interim maintenance, the patient must be fully eligible for admission to comprehensive maintenance. A typical example would be an established patient who is moving, and wants to transfer to another OTP. If all programs are full, which is likely, interim maintenance will be an option. The program does not use telemedicine to substitute for a physical examination when one is needed. Telemedicine may be used to support the decision making of a physician, when a provider qualified to conduct physical examinations and make diagnoses is physically located with the patient. The program includes confirmation testing such as gas chromatography-mass spectrometry (GC-MS) or liquid chromatography-mass spectrometry (LC-MS) as part of its established procedures for addressing potentially false-positive and false-negative urine or other toxicology test results. “This is SAMHSA’s language,” said Ms. Marx of the drug testing. It’s not clear whether the confirmation has to be done for all tests, however. “It could be that you need to wait until there’s a challenge” by the patient, she said. 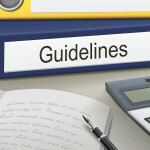 Because the Joint Commission is a deemed accrediting body, it has to incorporate both the regulations and the SAMHSA guidelines into their standards, explained Ms. Marx. Naloxone and the availability of opioid antagonist therapy—naltrexone—has been added for the benefit of patients who withdraw from treatment. The program advises patients of the risks of relapse following withdrawal and offers a relapse prevention program that includes counseling, naloxone, and opioid antagonist therapy. The program provides medically supervised withdrawal after pregnancy only when clinically indicated or requested by the patient. The program educates mothers about neonatal abstinence syndrome, its symptoms, its potential effect on their infants, and the need for treatment should it occur. The program provides medication-assisted treatment for alcohol use disorders, when appropriate, as well as counseling interventions for patients with a need for treatment. “This is an acknowledgement of the fact that patients come to us with all sorts of issues and challenges and disorders that need to be treated,” said Ms. Marx. “SAMHSA is trying to be more inclusive of medication-assisted treatment in the larger picture.” Medications approved for the treatment of alcoholism include naltrexone (also approved for the treatment of opioid use disorders, but contraindicated in patients taking opioid agonist medications methadone or buprenorphine). The program periodically queries the prescription drug monitoring program (PDMP) throughout the course of each patient’s treatment (for example, quarterly) and, in particular, before ordering take-home doses as well as at other important clinical decision points. The program counsels patients known to be using benzodiazepines, even by prescription, as to their risk and provides them with overdose prevention education and naloxone. for%20BZDs%20in%20MAT%202013_0.pdf prepared by the Institute for Research, Evaluation and Training in Addictions, with Support from Community Care Behavioral Health Organization. The standards take effect July 1. For the standards, which are issued electronically prior to publication, go to http://www.jointcommission.org/assets/1/18/Prepub_BHC_OTP.pdf. Accessed March 31, 2016.